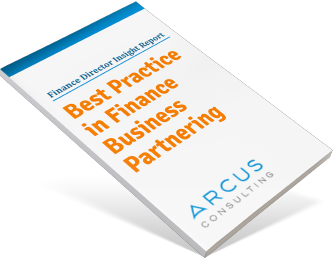 What really is the purpose of Finance business partnering? I’ve been testing this question in recent months by asking all the CFOs and FDs I meet through our consulting work. The most common answer I get is “To provide ‘Insight’ to the business from the information we produce”. Actually, I think they’re wrong, and I generally tell them so! Insight is good, but it’s insufficient. If you provide insight from analysis of the finance data it’s helpful, but you’re only half-way there. In effect you’re handing over the information to someone else to decide what to do about it. “Over to you”. In my book the real purpose of Finance being at the management team table is to get the business to take good decisions that improve the results of your business. Finance should own and drive the decision-making process. This is the real purpose of being a finance business partner. Who else is in a position to drive balanced, fact-based decisions? Your sales or commercial directors are likely to have passionate views about their business, but do they always understand the likely impact on the finances of the company? Functional heads, such as supply chain or marketing, are often too often silo’d to see the full picture of the business performance. High-performing finance directors have a helicopter view of the performance of the whole company. They are in a privileged position and can provide a calm, logical approach to decision-making. In many companies the Business Head may take the decisions. But they often need some help. They need a Co-Pilot to ensure good decision-making process, thus liberating them to provide experience and judgement as part of the debate. Rather than having to worry about the decision-making process itself. Do you ever attend business meetings where no decisions get made? That’s a bad habit and a waste of everyone’s time. A great opportunity for Finance to break the mould. 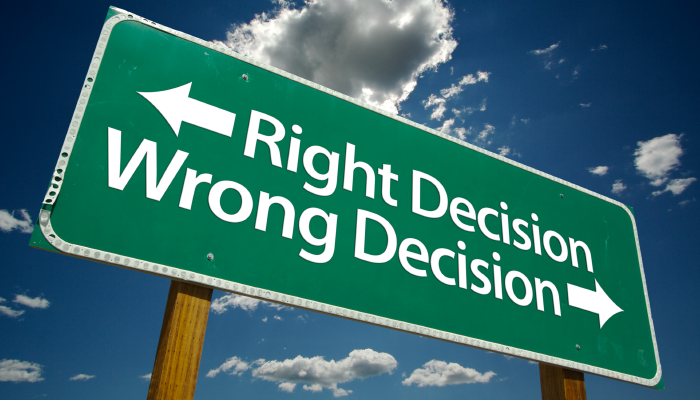 How many meetings in your company can truly be described as ‘Decision-Driven’? Is it always clear what the purpose of the meeting is, and the decisions to be made, when the meeting is called? Are these reiterated at the start of the meeting? Make sure financial information provided to meetings is focussed on driving decisions not simply supplying data. It doesn’t matter whether you’re the CFO at the Executive table or a Finance Manager at a Business Unit management team table. You’re both business partnering, and the real purpose of finance business partnering is to drive effective business decisions to improve business performance. Have you set the ambition for your business partners high enough? Is your aim to own the decision process and to run Decision-Driven Meetings? Or are you stopping short at only providing insight from financial data? The Arcus approach is top-down and refreshing. They tackle the big questions and are very effective at eliminating the noise. But they dig into grass roots levels when they need to unblock practical issues.